Minister of Housing just approved the building of a 49 story skyscraper – which is, of course, pyramid shaped – in Sheikh Zayed. Our government seems to have forgotten that it has more pressing issues when it comes to housing. Namely, the millions living in impoverished communities. Oops! While we do love us some new skyscrapers, we can’t help but think that this money could have been better employed. 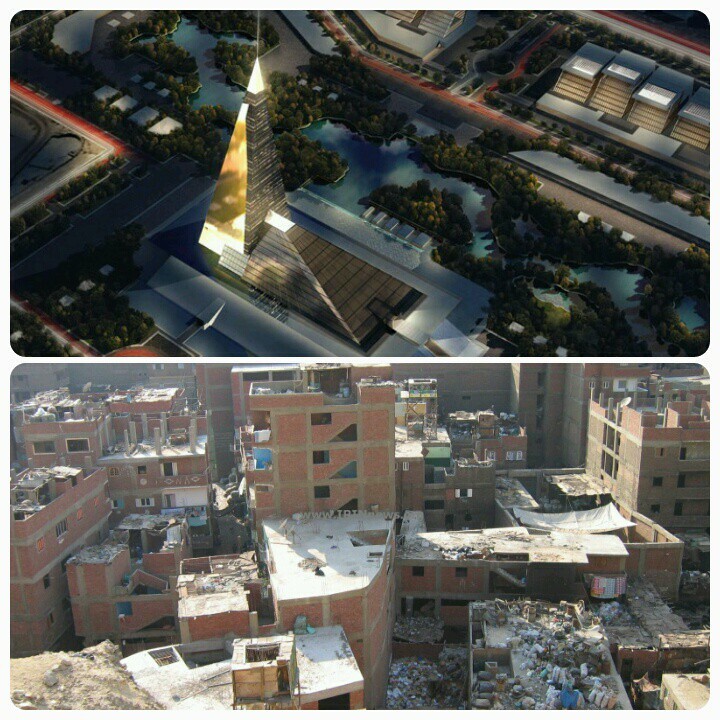 We hope we’re being pessimistic, and the fact that we can spend on this skyscraper really means we can also afford to put a roof over the heads of many Egyptians who cannot afford them. The building will be called the Zayed Crystal Spark and is planned to tower to 200 meters.